How does someone starting out know what guitar is best for them? Do you have any suggestions based on your personal experience? Right now, there are excellent guitars out there for way less than $1,000. Never before have so many manufacturers, figured out how to do it well, although they are mostly imported guitars. Buy what you like, in a budget that fits, and of course I love ESP's, Gibson's, Fender's and PRS guitars. Well, Jeff Beck who is a MONSTER plays with fingers, but the answer is pick. You need it for leads, and rhythm's etc. How important is knowing how to read music? Reading can help, but a good ear for music is more important. McCartney can't read music. He's a musical genius. But reading can be helpful to learning songs. What should one listen for when listening to music? I tend to be sure first off, what the groove and key of the song feels like. Then melody and lyrics come into play. I have a fault of lyrics not meaning that much to me. But they are very important. I just love MELODY! And bass, and drums and of course GUITARS! Should one practice by playing along with their favorite songs at first? If they can keep up with songs that they love, it is good inspiration of course. But be real, you can't learn playing Van Halen. You gotta walk before you run. Is starting from the basics by learning chords and scales important? Too many guitarists try to learn scales and don't know the fingerboard for chords, or even where the notes are. Very important to know chords. I really get annoyed with good lead players not knowing their chords. Why choose lead guitar over bass or rhythm? I think some people are very natural on one or a few things. Paul McCartney can play lead, rhythm and is one of the best bass players around. Even Lennon played leads and bass sometimes. So be good on whatever makes sense for you. I am known as a guitarist but I play a mean bass guitar. I even have played on KISS albums instead of Gene. Whatever works for the song. Are there any good guitar books, DVDs or websites out there? Anything you can suggest? Well, my DVD's are good! I am not up on what are the best teaching tools out there, but there are MANY. All the popular guitar magazines have great online info. How do you deal with stage-fright? Any tips for those who get a little nervous? Well, I still get nervous before a show, sometimes more or less depending on my mood. It's important to know it is NORMAL. You care, you want to play good. So you get nervous. Just remember not to get spooked and follow that inner musical direction to stay on course. How important is playing in a group setting? Does this help one become a better musician? Playing in a band, really makes a HUGE difference in progressing. Being a team, having a good band will make you better. The bedroom guitarist will never be as good in the end, as the band guitarist. Do you have any advice for those who love to play, but haven't had the chance to play in a band? Having the chance to play with others is what music is all about. Yes there are talented guys that can do everything, in there own home. NOT the same. Get out and play with other players. Always a big plus. That is what making music is all about. Like The Beatles....4 great musicians but the whole is enormous in what it can create. Very important to walk before you run. So know your chords, know the notes on the fingerboard, know the inversions of various chords on the guitar and know scales up and down, and make it all musical. Make the guitar lead playing like a voice singing! 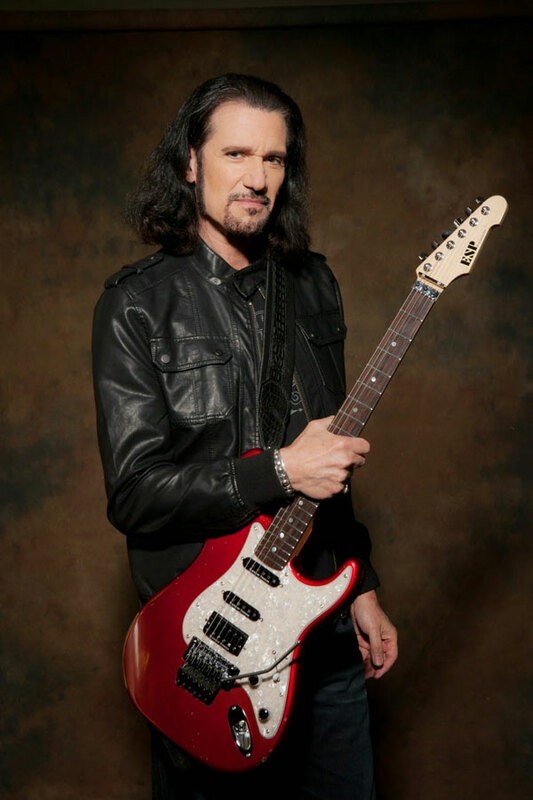 Learn more about Bruce Kulick one of our amazing counselors here at Rock and Roll Fantasy Camp! Music is the universal language. Musicians are able to capture the imagination of the world with their melodies. People everywhere look up to the creators of this most transcendent of art forms for inspiration. Yet none are as revered as the Rock Stars. And it is not just the blood-pumping rhythms and stimulating lyrics that have cemented their names in history. Rather, it is their rebellious, all or nothing lifestyle that has allowed them to cross the line between fame and legend. They are those who dared to live the dream. They are the few that refused to settle for the mundane and were able to achieve the extraordinary. We value their accomplishments and not just the artistic ones. Yes, they are EXTREMELY talented and at the top of their game. We've witnessed their struggle for fame and fortune, and cheered them on to success. We had a piece of it. We shared in it. This fascination begins with the natural desire to live vicariously through another's achievements, but it goes far deeper than that. We all want to be a part of something that is bigger than ourselves. That's a huge part of why live concerts are so exhilarating. It's a chance to share that love and passion which drew us to the music in the first place. 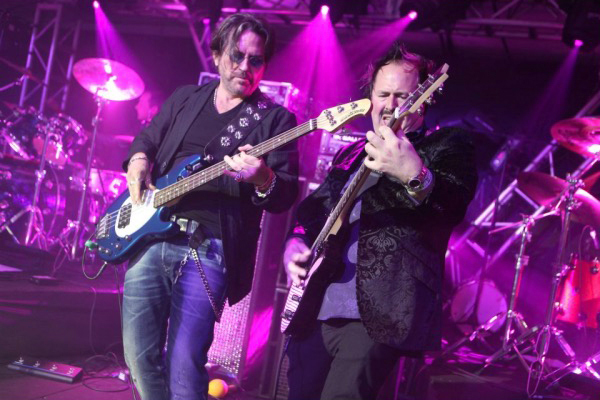 It's a chance to watch someone like Roger Daltrey of the WHO or Gene Simmons of KISS work their magic first-hand. Onstage they do more than play music, they are a conduit of electricity flowing form the energy and emotions of 100,000 plus people at a time. How many people get to say they have done that in their lifetime? The life of a rock star seems so fascinating for most of us. They lead such exciting lives, full of luxury and memorable b>experiences. What's it like to be the center of attention and chased by thousands? How does that affect you? We WANT to know! The only way to know is to read articles about them and watch interviews with them and so the obsession begins. When we attend a concert or see them on TV, many of us long to rock out on-stage next to them, to feel their energy and experience their lifestyle. Especially, those of us who play musical instruments may hope that their expertise and greatness will rub off on us. Maybe just by being in their presence we will be able to attain some of that glory. The most powerful part of any good music is the emotion that it inspires. People like the music that they do for a reason, because it speaks to them. Many times, what is too complicated to explain in real life can be better expressed through a rock song. The right song can help people put words to a feeling. Music is powerful enough to move crowds in unison and be an anthem to a generation. It helps people connect and relate to one another on a beautiful level. Admiring Rock Stars is as natural as admiring a great teacher. There is so much we can learn from them as we aspire to join them in their greatness, be it talent, risk taking, hard work, perseverance and achievement. Steven Tyler, Meat Loaf, Lemmy Kilmister, Bill Wyman, Vince Neil, Roger Daltrey, Jack Bruce, Joe Walsh, Sammy Hagar, Tommy Lee, Nils Lofgren, Bret Michaels, Robin Zander, Brian Wilson and Slash are ALL FAB! We appreciate them for being Guest Stars at Rock and Roll Fantasy Camp! You may think practice and rehearsal are the same thing, but in truth they are not. Practice refers to individual solo work on your particular part. Practice you can do alone, but rehearsal one can only do with a band. Your individual part will take on a completely new soul in the context of a band. Being in a band is a unique dynamic that can not be explained, but must be experienced. Besides collaborating musically, there are creative, emotional and inter-personal elements. Why do we hear so many stories about bands? Band members share a unique bond, unique to their bands experiences. Rehearsal with your band is the last step before going public. You're on your way! Your song should express your thoughts and feelings in a way that reaches others, helps them feel something deeper and understand something better. Be ready when inspiration strikes. Carry a pen and paper with you or recording device to capture your momentous brainstorm. Your title is key. It will guide you through your songwriting process. Next: turn your title into a lyric. Ask the who, what, when, where and why of your title. Make a list of words, phrases and images that your title evokes. Then make a list of contrasting words, phrases and images. Start to put it all together without concern for rhyming. If you play guitar or keyboard, you only need one verse and chorus at this point to start getting your part figured out. If your having writer's block - step away, take a break, a walk or have a meal. When you come back, take another crack it, keeping the integrity of your original idea. Listen to some hit songs you love and focus on the structure. Notice how the lines vary in length. Don't stop until you love it! Melodies and lyrics ARE copyrighted, but, in general, the chord progressions that use I, IV, V plus a couple other familiar chords are not. C-Am-F-G belongs to everyone! What this means is that you can use this type of generic chord progression in your songs! Read your lyrics out loud with emotion to create natural melodies. To make your melodies good ones, you need to balance repetition with variation. Too much of either and you'll lose your audience. Collaborate, get feedback and take it to heart. Lean on your bandmates and prosper from their different ideas. Smooth the rough edges. If the pieces do not fit together, try building a transition. Put all the sections of your song in the same key. If your song suddenly changes in tempo (speed) between the two parts, try gradually changing the speed as you enter and exit the section that does not fit with the rest of the song. Try adding a short instrumental interlude that will carry you from one part to the next. While it is possible that two parts should not be in the same song, it could be that you started one part with the wrong meter or wrong kind of beat. Besides the limitations on your life, you don't need self-imposed ones. Stage fright is extremely common. There's nothing wrong with you. Being in a a safe, environment with supportive people works! Of course practicing and gaining confidence in your instrument is important. You're confidence will increase if you are prepared, have tested the shallow waters in a small venue and small group setting. Gain experience. View your performance as a tool on your journey and not the end all. See the audience as an integral part of your show and not a separate entity. Realize that the audience wants you to succeed. Believe in your mission, your song and your band. Concentrate on your message, not the medium. Visualize yourself as that Rock Star you want to be. Take deep breaths. If the audience sees you having a good time, they'll enjoy your performance. Be generous with your gift and eager to share it with the world. Be relaxed, have a great time and smile! Smiles are contagious. Practice leads to Improvement. Luck Is When Preparation Meets Opportunity. Whatever your instrument, be it guitar, bass, drums, keys or voice, you need to practice every day. All the rock stars you admire have paid their dues in countless hours of study, rehearsal and repetition. If you've taken some time off from playing, pick up your instrument and get re-aquainted. Honor and respect your instrument. Keep your instrument clean, protected and well tuned. If you are a vocalist, take care of your voice. Do some homework. Listen to your favorite music like a surgeon and disect your part. Practice will breed confidence. Once you figure out how to do it, you'll reach the next level of why to do it. Why it works. You'll be fine tuning your ear as you listen to your favorite song for umpteenth time. Master the greats and your well on your way to being great. Get access to accomplished musicians. It's one thing to listen to the greats in recorded form. But there's nothing like learning from them in person! Pick their brains and don't be shy. Interacting with bona fide rock stars and industry experts from the music business is key to gaining knowledge. There's a reason they became idols on stage long before American Idol existed: they are the best at what they do. Who better to learn tricks of the trade and technical tips on singing and playing your instrument than someone who has sold millions of gold records and played huge arenas in front of millions of fans? The knowledge they will impart on you will develop you into an even better musician and performer. Aside from the experts, there is value in networking with your peers as well. Expose yourself to different musical genres and musicians of different instruments. There's so much you can learn from each other and so much you can take away. With your shared passion of music, you're sure to gain some life-long friends. Put yourself out there, start conversations, share stories and absorb. You'll end up creating the most memorable life experience you've ever had. You don't have to wait to be FAB! You can imbue all the aspects of those you think are Fab right now. Rock Stars know that being successful is due to a number of factors. You too can have that Rock Star swagger. All you need to do is gain confidence and a sense of accomplishment. That comes with honing your instrument, writing an original song, being in a band, overcoming stage fright and learning from the pros. Of course everyone is cool when they're having an insane amount of fun and indulging on a lifelong fantasy. Take the leap and reap the rewards! Adults are going to camp... Fantasy Camps! Baby Boomers Take Charge Of Their Time And Money.